This article attempts to scrutinize the agency laws of Kuwait and India. These two countries are chosen because of the difference in the legal approach in the regulation of agency laws. The process of entering into a foreign market diversifies a business enterprise but contracting should always be done on market terms complying with the local laws. Entering into an agency relationship is the easiest way to start operation in a foreign country. However, proper evaluation of the agency agreements and proper understanding of the agency laws of the country is crucial in overcoming the legal hurdles. The legal system of Kuwait is based on the Sharia law, English law, Egyptian law and the Ottoman system. However, though both the commercial law of Kuwait and the Indian law derived a lot from the common law system of English there are subtle differences both in terms of substance and procedure. Among Middle Eastern countries only Algeria and Iraq strictly restrict the use of agents in doing business in their respective countries. Holding fast to a civil law system Kuwait has enacted various laws which contains legal principles which are to be enforced and upheld by courts. The commercial agency in Kuwait is governed by Law No. 36 of 1964 regulating commercial agencies and Commercial Code number 68 of 1980. Moreover, Kuwait's open business policies and recent developments in law have encouraged bilateral relations. A foreign person or entity may enter the Kuwaiti market and conduct business by forming a limited liability company, joint stock company, partnership, joint venture or through agency relationship. Though there are many options for a foreign entrepreneur to enter into Kuwaiti market the most common system is to appoint a local agent who in turn will transact business on behalf of the Principal. The agency law of Kuwait when compared to other Middle Eastern law is more comprehensive and provides high degree of protection to the agents. The Agency Agreement needs to be duly registered with the commercial agency register at the Ministry of Commerce and Industry (MCI).The agent must be an eligible Kuwaiti national or a wholly owned Kuwaiti entity incorporated in Kuwait ('Agent'). The agency agreement must be in writing and should include the name, nationality and address of the Agent and his foreign partner (the 'Principal'); the products, commodities and services covered in the agency relationship; the area of operation; the commencement date and the duration of the Contract. The Kuwait regulations state that the agent will be entitled to compensation on termination of an exclusive agency agreement and it should be reasonable enough, taking into account all aspects of the transaction. The registration of an agency agreement ensures that the agent receives greater protection and this also depends on the type of the agency agreement they entered in. A contract agency is defined as a contract whereby a person undertakes a certain area of activity for the benefit of his Principal in consideration of remuneration. His responsibility would include conclusion and execution of such transactions in the name and on behalf of the Principal. A commission agency is a contract under which the commission Agent undertakes, in consideration of remuneration, in his own name a legal act for the benefit of the Principal. Commission Agents are treated separately in the law and if the Agent fixes a higher price than that is fixed by the Principal he can keep the difference in the price as his commission. Under Distributorship the Agent, in consideration of remuneration, undertakes to promote and distribute the products of the foreign trader. A commercial representative has limited scope and is defined as any person who is authorized by a Principal to carry out some of his business, whether at his place of business or elsewhere by means of an agreement. 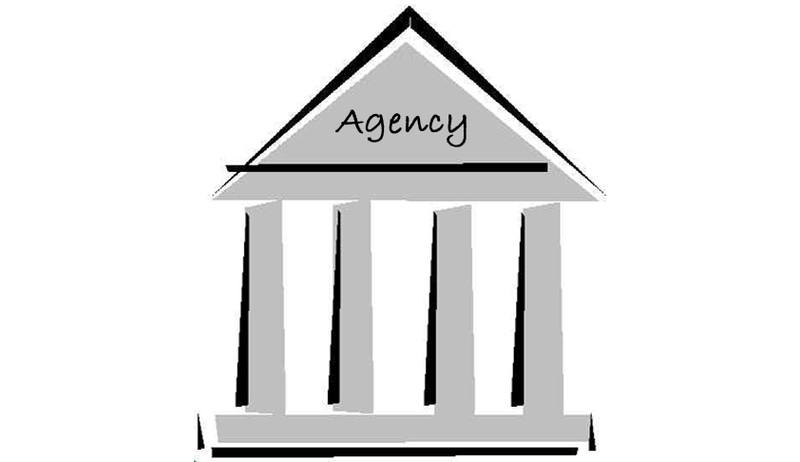 The purpose of an agency agreement can either be services or products, both to be delivered by the Principal to the customer through the Agent. The Commercial Agency shall be made in consideration for remuneration, unless otherwise agreed upon. If the said remuneration is not specified in the relevant agreement, it shall be determined by the usage or circumstances. The Agent shall not be entitled to the remuneration unless he concludes the transaction entrusted with, or he proves that it has become difficult to conclude the same by reason due to acts of the Principal. The Agent shall be entitled to remuneration for the efforts exerted by him. If a contractual relationship meets the definitions as set out in the law provisions of the agency law will apply. The nomination given to the agreement by the parties is irrelevant. The Kuwaiti law has mandatory provisions with respect to the termination of agency agreement. The termination can have a legal form of annulment. Moreover, the Principal is obliged to pay a certain amount as compensations, unless the contract is terminated for a valid reason. The Regulations list three situations in which the Agent is entitled to compensation on a transaction i.e. If the Agent has been given an exclusive right under the agency agreement. If the agency agreement is cancelled without any justifiable reason. If the involvement of the agency has led to development of Principal's business. Moreover, if the Agent has constructed factory/warehouse or has spent considerably in the business, anticipating profit margin, the agency cannot be cancelled for a minimum period of five years. As a general rule, the Kuwaiti citizen does not pay income tax and only a foreign corporate body engaged in commercial activities within the territory of Kuwait is subject to taxation. Tax is fixed as 15% of the net income. Besides, all Kuwaiti shareholding companies are expected to contribute five percent of their net income for Kuwait Foundation for Advancement of Science (KFAS), an organization aimed at scientific development and research. Usually, the income generated by the Kuwaiti Agent from the agency relationship is not subject to taxation. Even though, Kuwait has sufficient laws in place governing the protection and enforcement of IP rights, enforcement of such laws is still complicated. However, it is necessary to apply for all necessary trade mark and other relevant IP rights in advance before entering into the Kuwaiti market. Foreign traders who get involved in commercial agency activities in the country violates the law and therefore if found guilty they will be subject to three months imprisonment and fine. Further, parties who falsely portray themselves as Agents or who engage in commercial agency activities in contravention to the principles of law are subject to one month's imprisonment and fine. While entering into an agency relationship the 'dispute resolving mechanism' will also be discussed among the parties and suitable jurisdiction would be agreed by the parties in their agreements. It is a common practice that the foreign investor would always prefer to have the disputes settled by a foreign arbitration tribunal. The main reason for agreeing to a foreign arbitration tribunal over the courts as the acceptable 'dispute resolution mechanism' is due to ease in the enforceability of any award that may be obtained. Due to the recognition of the New York Convention on the Recognition and Enforcement of Foreign Arbitral Awards 1958 (to which Kuwait is a signatory), arbitral awards are in general more easily enforced in Kuwait than a foreign court judgment. However, the Kuwaiti courts assess the agreement and the nature of business to understand the genuine status of the Agent and the Principal. It is also to be noted that choosing a foreign court or arbitration may not always be effective in agency agreements as the Kuwaiti court has the discretion to take up such issues if it finds that the interests of the Kuwaiti partner is adversely affected. Also, Kuwait court can refuse to enforce an arbitration provision where the person signing the agency agreement for the local Agent did not have specific authority to agree to arbitration. The law of contracts in India is governed as per the provisions of the Indian Contracts Act of 1972, which is based on the principles of English common law. It governs and enforces the rights and duties of the parties who enter into specific contracts. In general, it provides the basic rules with regards to partnership and sale of goods. As laid down in the law, "all agreements are contracts, if they are made by the free consent of the parties, capacity of parties to contract, for a lawful consideration with a lawful object, and not hereby expressly to be void." The principles of reasonableness and fairness are the guiding principles of Indian law and the legal connotation of Agency relationship is not that transparent in Indian law. The term 'Agent' as used in Indian context also defines Agent as a 'person employed to do any act for another, or to represent another in dealing with third persons' (the 'Agent') and the person for whom such act is done or is represented is the 'Principal' ('the Principal'). Also, the law confirms that the contracts entered into through an Agent and obligations arising from acts performed by an Agent, may be enforced in the same manner, and will have the same legal consequences as if the contracts had been entered into by the Principal himself. Similarly, there is no separate franchise law in India. The term 'franchise' is defined as an agreement by which the franchisee is given a representational right to sell or manufacture goods or to provide service or undertake any process identified with the franchisor, whether or not a trademark, service mark, trade name, service mark or logo or any such symbol, as the case may be involved'. In international agreements the Foreign Exchange Management Act, 1999 (FEMA) and the Reserve Bank of India (RBI) regulate the terms of the agreement entered into by an Indian national/corporate with a foreign partner, which eases the entry of a foreign trader to Indian market. It also ensures that, if the agreement has provisions for payment of a lump sum fee beyond their specified limits the approval of the Foreign Investment Promotion Board (FIPB) is required. The agency laws in India is governed by different statutes and Acts like the Indian Contract Act, Specific Relief Act 1963, Monopolies and Restrictive Trade Practices Act 1969 (MRTP), Income Tax 1961, Consumer protection Act, 1986, Trademarks Act 1999 The competition Act 2002, Labor law, FEMA etc. a. Where the act to be performed is personal in nature. b. Where the act to be performed is annexed to a public office. d. Where the law prescribes that where a particular act should be performed by a party in person. An agent having the authority to carry out a business has the authority to do every lawful thing necessary for the purpose, or usually done in the course of conducting such business. The law confers a number of obligations on the Agent. The Agent owes a duty to undertake the task(s) as per the terms of the agency agreement and is expected to undertake his tasks with care and due diligence. He also has a duty to not get involved in any activity that conflict with the interests of the Principal. The Agent must also not accept any new obligation which is inconsistent with the interests of the Principal. He is also not allowed to unduly enrich himself through the agency. The Agent is responsible to the Principle for the acts of the subagent. The provisions of the Indian law confirm that an agency requires no consideration based on the explanation that the person acting through another is acting himself. Moreover, in legal terminology every person who acts for another is not an Agent. Any income generated from the agency relationship is subject to taxation under the Income Tax Act 1961 and is entitled to tax deductions, subject to the tax treaty between India and that particular country. As a general rule an agency agreement is expected to confirm that the Agent withholds and pays his own taxes. by the revocation of the agency by the Principal, provided the agency is not based on some vested interests of the Agent or the Agent has some interest in the subject matter of the agency for e.g. if the Agent is asked to obtain his profit from the sale of proceeds, the Principal cannot revoke the agency before the sale of goods by the Agent. Termination of the agency by the Agent. On completion of the business transactions agreed in the agency agreement. On declaration of the Principal or the Agent as insolvent by a competent court. By the death of the Principal or Agent. Termination by operation of law. The Principal is not allowed to revoke the agency if the authority given to the Agent is already been exercised or is partly exercised. Also, the agency cannot be terminated before the expiration of the agreed term, unless it is for a reasonable cause. On termination of the agency before the agreed term the Principal is bound to pay the Agent a fair compensation for the loss he suffered due to the termination. Same rules are applied on renunciation of the agency by the Agent, before completion of the term. Nevertheless, if the agent himself has an interest in the subject matter of the agency, the agency cannot in the absence of an express contract, be terminated to the prejudice of such interests. The terms under which an agent can terminate the agency relationship will be as per the terms stipulated in the agency agreement. On termination of an agency agreement or once the Agent has notice of termination no new rights are created and the rights existing at the time of termination will prevail. This remains the same with regards to the rights/obligation of/to the third parties. Moreover, if either party acts in such a way as is inconsistent with the continuation of the agency the agency will be terminated and such termination will give rise to rights of action for breach of contract. Generally, the Agent will be liable either directly as per the terms of the agency agreement or for breach of implied warranty of authority. Effective dispute resolution mechanism is available in India and follows a hierarchical court system wherein the Supreme Court is the Apex court followed by the High court, District Courts and the Sessions Courts. In agency dispute the parties can either initiate litigation in an appropriate court having jurisdiction or can choose an international forum for arbitration. Arbitration in India is governed by the Arbitration and Conciliation Act of 1996. The agency laws of Kuwait and India do not share a similar nature. In Kuwait the agency is reserved for its own nationals, under specific regulation. The right to compensation by the Agent in the Kuwaiti agency law ensures that commercial Agents are not treated unfairly. On termination of an agency agreement the Agent is entitled to compensation for the loss suffered as a result of termination. Two such instances are mentioned in the law where compensation is allowed for the Agent. One such instance is that where the termination has deprived the Agent of his commission and secondly when the Agent has incurred expenses related to the performance of the agency contract. Kuwait provides Agents a high degree of protection against termination by the Principal and for nonrenewal of agency agreements and such parameters are not provided in Indian law. Qualified professionals such as doctors, lawyers, and engineers are exempt from the requirement of using a Kuwaiti Agent in order to do business in Kuwait. Law allows people with the same profession to establish a business entity ('Professional Partnership') under a closed joint stock company, limited liability company, general partnership or limited partnership. The Professional Partnership should have two or more professionals of the same profession. As per the provisions of Indian law the appointment of the Agent can be either expressed or implied. Implied agency includes agency by estoppel (i.e., an agency may be implied from the conduct of the parties), agency by holding out (i.e., where a person permits another person to act on behalf of him for certain period of time) and agency by necessity (i.e., where circumstances compels a person to act as an Agent of another). However, the Agency Laws of Kuwait insists on a number of conditions which need to be fulfilled for registration of a commercial agency, which by itself creates a legal entity. Therefore, when an agency agreement is terminated there are many areas which need to be considered by the foreign trader. When Agents are regulated by mandatory regulations they will get protection against arbitrary termination by their foreign traders. In India a foreign trader may be granted an agency/franchise directly without establishing an entity in India. Therefore, the success of the agency relationship will depend on how the agency contract is formulated and its enforceability, especially where it specifies the rights and duties of the parties and the consequences which they face on breach of such terms of understanding. Unlike many other countries, India lacks a specific law or a comprehensive regulation which deals only with the agency/franchise set up in the country. Therefore, enactment of specific legislation pertaining to agency business in India is highly recommended. In December 2012, the Company Law Decree No. 25 of 2012 has been promulgated in Kuwait. The Company Law Decree No. 25 of 2012, as amended by Law No. 97 of 2013, has replaced the Companies Law No. 15 of 1960. Law No. 36 of 1964, regulating the commercial Agencies of Kuwait. See Supra note 2 Art. 271 and the accompanying text. See Supra note 3, Art. 10. Article 702 of the Law No.67 of 1980 promulgating Civil law. Supra note 1, Art. 215. The Indian Contract Act, 1872, ACT No. 9 OF 1872 [25th April, 1872.] ('Act'). Id Sect 10 of the Act. Id Sect 182 of the 'Act'. Id Sect.226 of the 'Act'. The Indian Finance Act 1999, Chapter 5. Substituted (w.e.f. 16.06.2005) by s. 88 of the Finance Act, 2005 (18 of 2005). See Supra note 14, Sec 183 of the Act. See Supra note 15, Sec 188 of the Act. Id Sect 192 of the 'Act'. Id Sect 185 of the Act. Id Sect 201-210 of the 'Act'. See Supra note 1, Article 80-84. Rama Corporation Ltd v Proved Tin and General Investments Ltd  2 QB 147, Slade J, "Ostensible or apparent authority... is merely a form of estoppel, indeed, it has been termed agency by estoppel and you cannot call in aid an estoppel unless you have three ingredients: (i) a representation, (ii) reliance on the representation, and (iii) an alteration of your position resulting from such reliance." Twinkle Annie Chacko is working as Legal Consultant and as the head of the International Department of a leading law firm in Kuwait, Abdulrazzaq Abdullah & Partners Law Firm (ARALF).